We’ve added a product configurator to the popular Terrasat Ku-Band IBUC2. Frequency Output Options in Standard Ku-Band(14.0 – 14.5 GHz), Extended Ku-Band (13.75 – 14.5 GHz), and Low Ku-Band (12.25 – 13.5 GHz). Power Consumption: 90 W max. 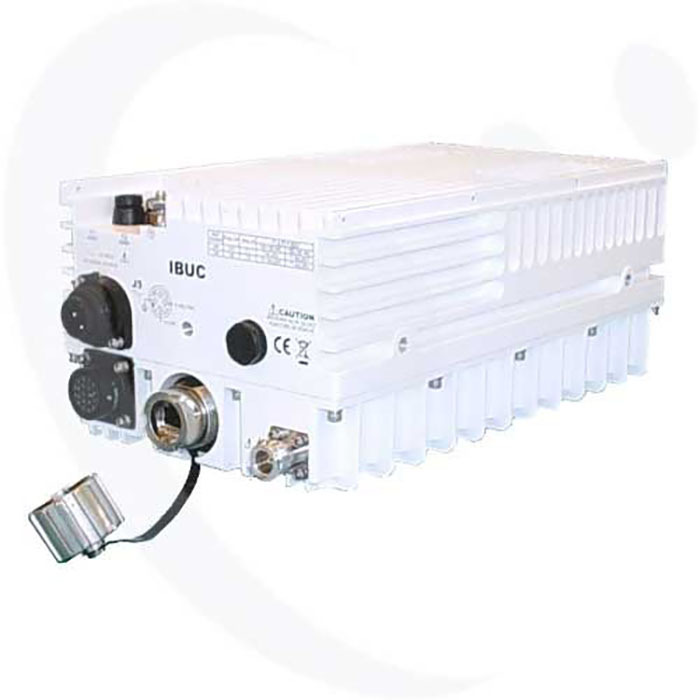 The NJRC NJT8318UNMR 8W Universal Ku-Band BUC leads the field in form factor, price and performance. We’ve recently added an Es/No to Eb/No converter to our site. While calculating the energy per bit was the old accepted standard, now with Adaptive Coding and Modulation, more and more people are using the energy per symbol. You can try this tool here. The 100W Ku‐Band IBUCs provide high efficiency and the superior linearity of Gallium Arsenide‐based power amplifiers. – TCP/IP via RJ45 connector with embedded webpages and SNMP. All models with integral AC power supply. NMS‐friendly interfaces enable remote management of your earth station RF. 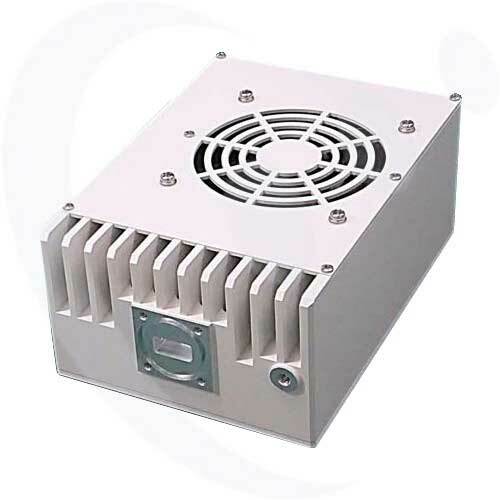 Low energy consumption (65W) for use with Modems equipped with limited capacity BUC power supplies. DC power supplied via IFL coax. AGC or ALC circuits hold gain or output level constant. 30 dB User‐adjustable gain in 0.1 dB steps preserves modem dynamic range. The EDGE AIR Series of Portable Flyaway Terminals are complete integrated systems designed to meet IATA weight requirements for air transportation. These terminals can provide almost instant access to internet, video and voice communications worldwide, and come in a full range of configurations with single and multi-band options. EDGE-AIR terminals are integrated, assembled and tested, then packaged and shipped from our facilities in Avon, Colorado, so that you can have complete confidence that when your terminal arrives on-site, it will be ready to connect. The EDGE AC-100T Portable Satellite Terminal is a fully integrated, field proven, tri-band capable satellite terminal, in rugged airline-checkable cases. Ready to be deployed worldwide in hours, these lightweight terminals are tripod-mounted for maximum setup flexibility. The EDGE AC-100T is available with Ku-, Ka- and X-Band configurations. BUCs, Modems, LNBs, color coded cables and simple instructions for fast, error-free setup are all included in this ready-to-use EDGE Satellite Terminal . The compact and lightweight EDGE Exede Pro-Portable Satellite Terminal can be quickly transported via commercial airline or delivered overnight by all major carriers. With coverage across the Continental United States, Alaska and Hawaii, this customized terminal is ideal for SNG, disaster relief, and other time-critical applications. Setup on arrival at your location is accomplished in 10 minutes. We’ve taken ViaSat’s popular Exede Pro-Portable Terminal a step further, offering exclusive configuration options including EDGE Voice options, Wi-Fi access points and more. All indoor appliances come pre-integrated in airline checkable roto-molded rack cases. Color coded cables and simple instructions for fast, error-free setup are all included in this ready-to-use EDGE Satcom Terminal. The EDGE-QD Quick Deploy / Flyaway VSAT Terminals are Satcom Resources’ line of fully integrated, ready-to-use flyaway satellite terminals. When a natural disaster or other emergency situation occurs, instant infrastructure is needed. With land-lines and cell towers disabled or overloaded, often the only form of long distance communication available is via satellite. The EDGE-QD Flyaway VSAT Terminals are designed for field operation by news gathering agencies, non-technical first responders and military personnel, when other means to coordinate response efforts have failed, or don’t exist in the region. Numerous pack-up options are available, from man-portable to air-freight compatible configurations. EDGE Terminals are available for world-wide operation in C-, Ku-, Ka- and X-Band over the appropriate satellite. We can provide the complete end-to-end solution to accomplish your mission, from integrated terminal to satellite segment service plan. The EDGE QD-120T Flyaway Satellite Terminal arrives on-site in ruggedized cases, integrated, tested and ready to have you connected in minutes. The QD-120T is the result of years of collaboration with military and corporate end-users with stringent requirements for their telecommunication missions. The antenna can be assembled in less than 15 minutes by one man. This highly flexible terminal is tripod-mounted and upgradeable to fully motorized operation for automatic satellite acquisition. The terminal is available in Ku-, C- and X-Band configurations. BUCs, Modems, LNBs, power supplies, color coded cables and simple instructions for fast, error-free setup are all included in this ready-to-use EDGE Satcom Terminal. The EDGE QD-180T Flyaway Satellite Terminal is a motorized, Tri-Band capable system with an autolocate controller. Alternatively, the antenna can be configured manual (non-motorized), with autolocate assistance through a web browser. This allows an un-trained user to easily point the antenna without motorization. The antenna can be assembled in less than 15 minutes by one man. This highly flexible terminal is tripod-mounted for maximum stability. The terminal is available with C-, X- and Ku-Band options. BUCs, Modems or Encoders, LNBs, power supplies, color coded cables and simple instructions for fast, error-free setup are all included. Teledyne Paradise Datacom’s newly packaged High Power Outdoor GaN SSPAs offer the latest in High Power Microwave Amplifier Technology. The SSPA package achieves the highest power density in the industry. A full compliment of serial and parallel control is available via circular connectors. An optional hand-held controller provides an interface for immediate local control. Power Amplifier (SSPA) is built for extreme environmental conditions and high reliability operation. Along with the robust construction exists the highest power density in the industry. that have long been reserved for TWTAs. zBUC converters can detect and switch to an extenally supplied reference. zBUC converters can lock to an externally supplied reference of 5, 10, 20, 25, or 50 MHz without modification. zBUC converters can accept FSK monitor and control signal via the IFL for complete amplifer remote control. Satcom Resources is pleased to offer our clients Mobile Satellite TV Antennas for DISH and DIRECTV, from Winegard, a global innovator of Satellite TV Antennas for RVs, Campers and other mobile applications. With the Carryout GM-1599 Automatic Satellite TV Antenna with Realtree AP™ Camouflage you see the television, not the antenna. This light, portable satellite dish eliminates dish aiming with easy automatic setup. The Carryout will support more than one receiver, so you can watch different programs on different televisions! With the Trav’ler DISH 1000 you can view all satellites at the same time! Watch all your favorite DISH and Bell TV programming in high definition, on any TV in the RV. The reflectors are certified and approved to provide the strongest signal strength under adverse weather conditions. Winegard is proud to be the first to provide RVers with the only solution for maximum DIRECTV HD programming. Supports all new DIRECTV HD receivers. Provides simultaneous reception from 99°, 101° and 103° for complete SD and HD programming. Record and watch in any room with one DIRECTV HD DVR. View all satellites at the same time for maximum programming. Never miss your favorite show again! Watch any program, on any TV in the RV, at the same time! Family friendly – watch different programs on a variety of TVs at the same time. Great to use with DVRs – watch and record from different satellites simultaneously. The Winegard Pathway X2 is 100% automatic, and self installs faster than other antennas. The X2 runs through the ViP series receiver menu using the new DISH mobile protocol. Just set your state and the X2 does the rest! Pathway X2 accesses all DISH satellites everywhere in the United States. Uses both the Western Arc (110°, 119° and 129°) orbital locations and the Eastern Arc (61.5°, 72.7° and 77°) single orbitals. The Pathway X2 is powered through the coaxial cable from the satellite receiver. Just one wire, no power cable needed!